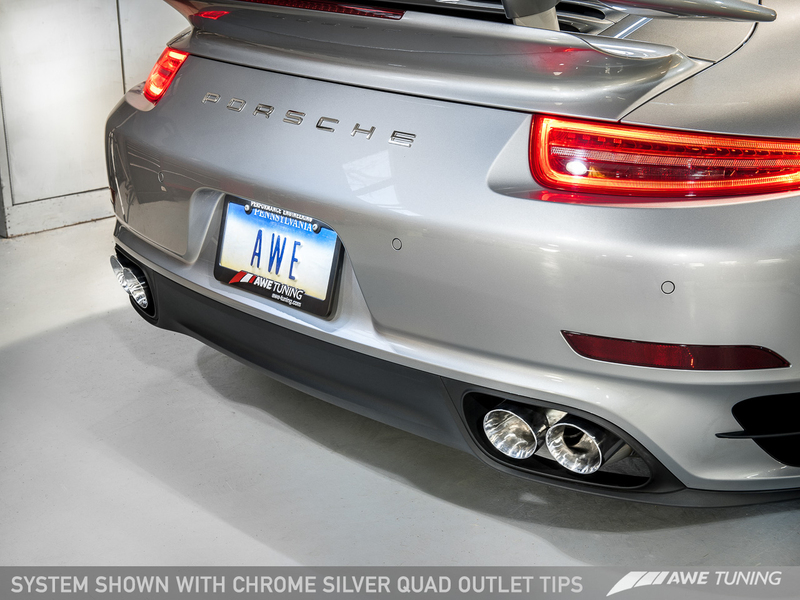 AWE now presents the only Porsche 991 Turbo and Turbo S Exhaust System with enough craftsmanship to represent the AWE Tuning name. 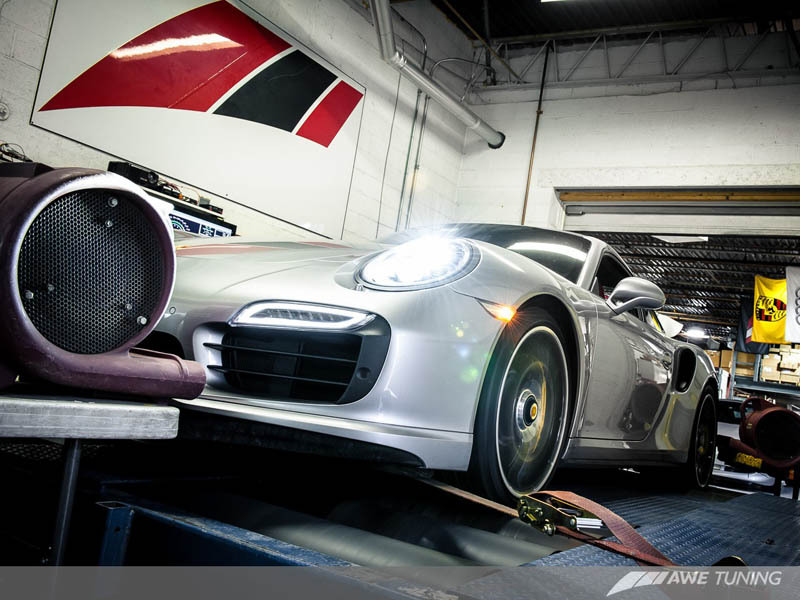 Behind this finished product are hundreds of hours of prototyping, engineering, research, testing, daily thrashing and evaluated in the most scrutinous environments. 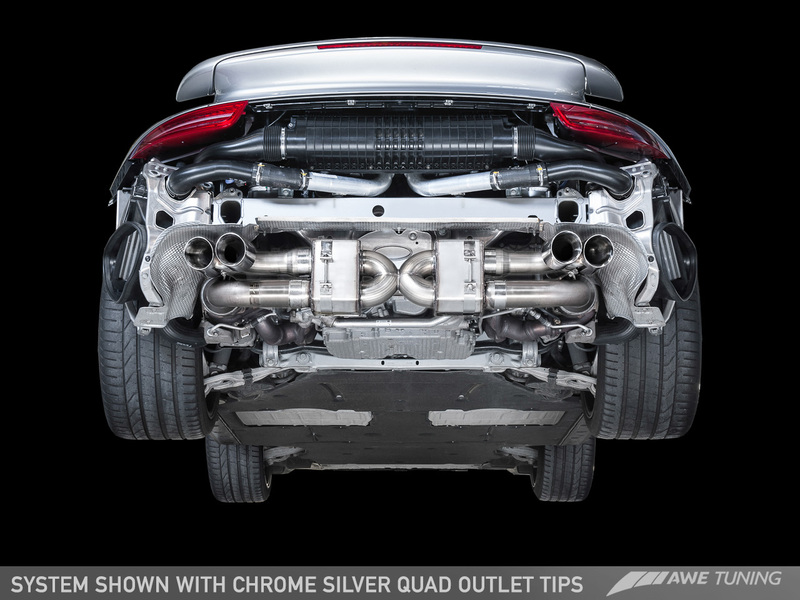 Producing an exhaust system for the new Porsche 991 that is both aggressive at full throttle, yet civil enough for a casual conversation in car is no small endeavor. 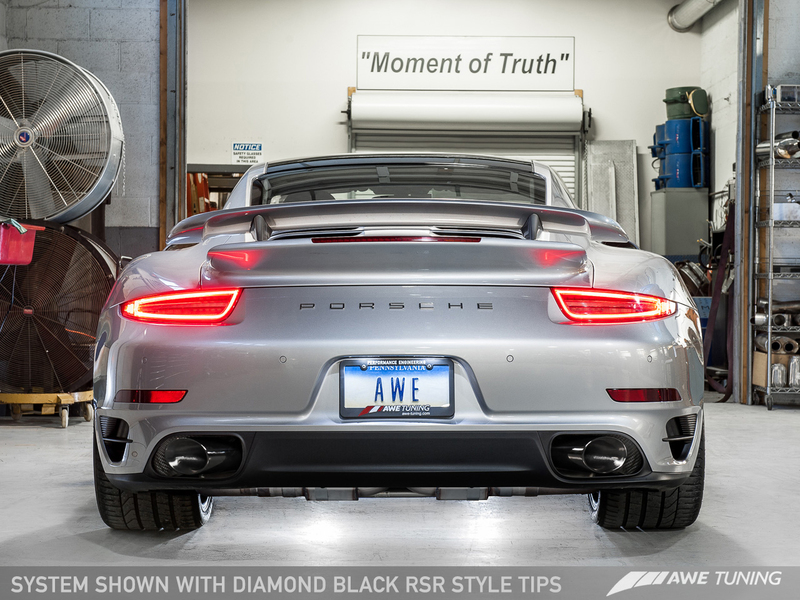 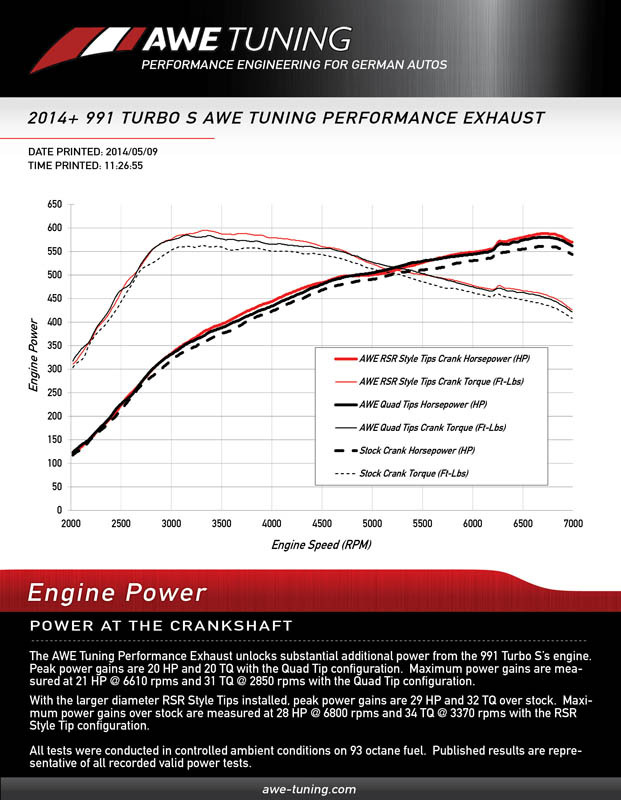 Sound tuning engineers at AWE carefully studied the tones of the multiple prototype 991TT systems at various RPM's and meticulously engineered a custom solution for the new 991 engine to combat frequencies that are not appropriate for a super car of this caliber-retaining and building upon only the most perfect notes emitted by the engine. 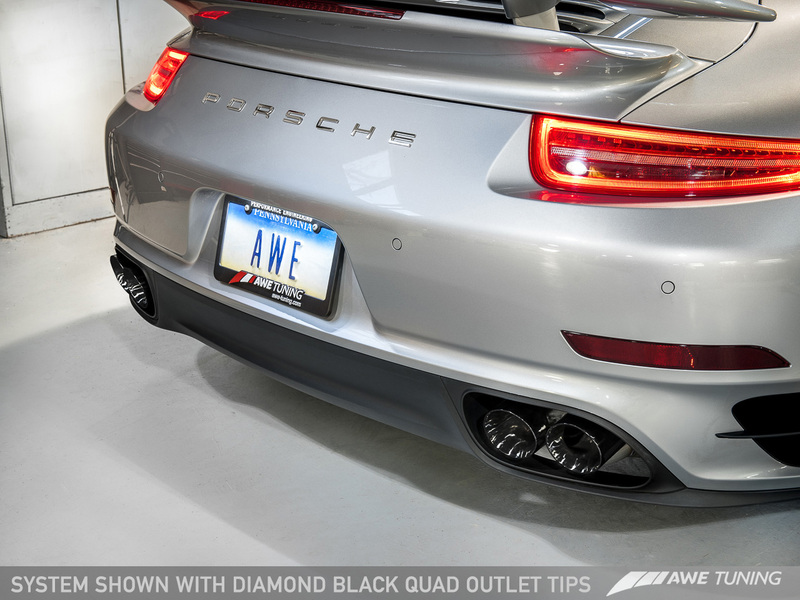 Premium German made 200 cell HJS HD metal core cats guarantee CEL free operation, 3.0" diameter tubing and the AWE Tuning muffler design routes exhaust through two proprietary and hand-crafter mufflers, while an H-pipe design helps to emit the perfect exhaust note. 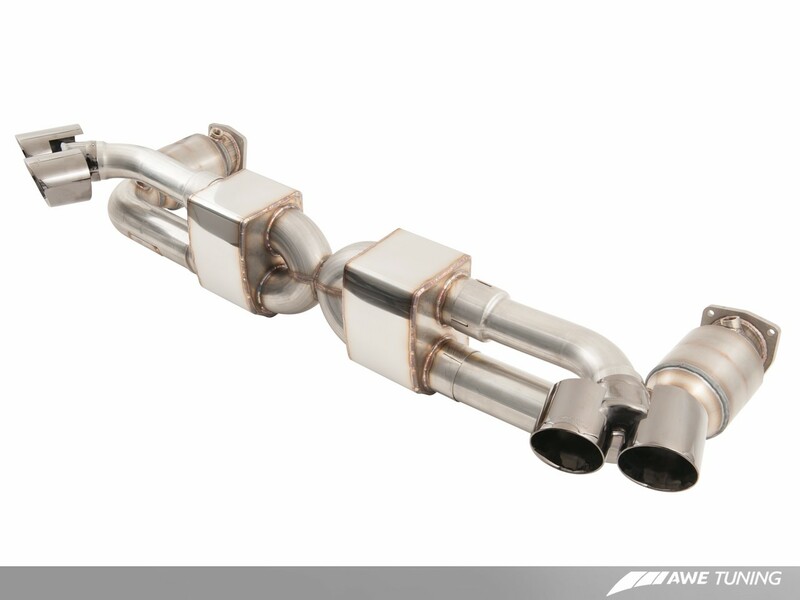 All TIG welds are hand finished internally, and gas purge welded. 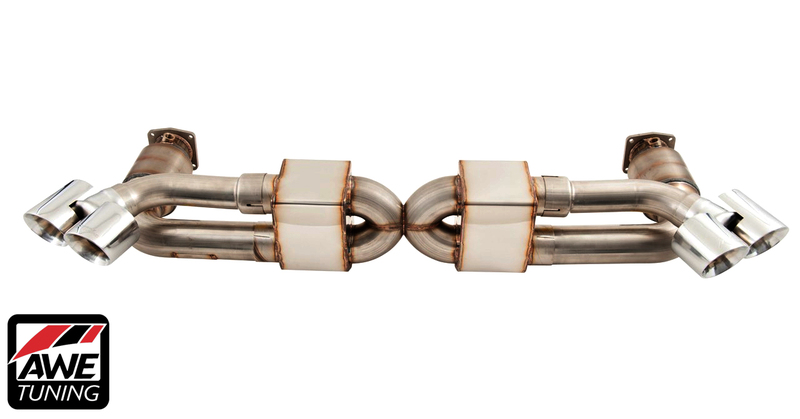 Flange openings are size matched to their ports, all to produce the smoothest flow possible. The meticulous measures that AWE have taken create an exhaust system that unlocks the Porsche 991 3.8L twin turbo powerplant in both performance and sound, in a way that is completely un-matched by competitors.